This Triple Layer Chocolate Marzipan Cake is pure decadence! And highly addictive. 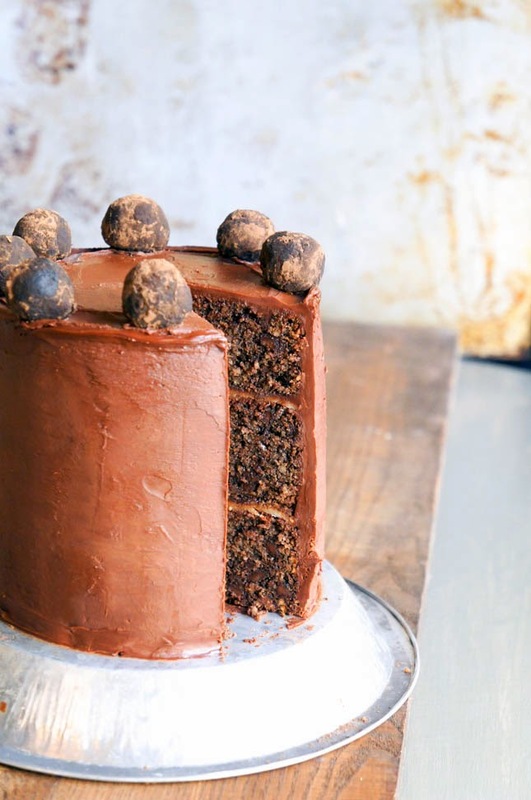 Three thick layers of rich almond-chocolate cake stacked with dark chocolate ganache and marzipan… topped with cake truffles. Well, I admit, this is not exactly the right cake for anyone trying to drop those holiday pounds but trust me, it’s worth it.